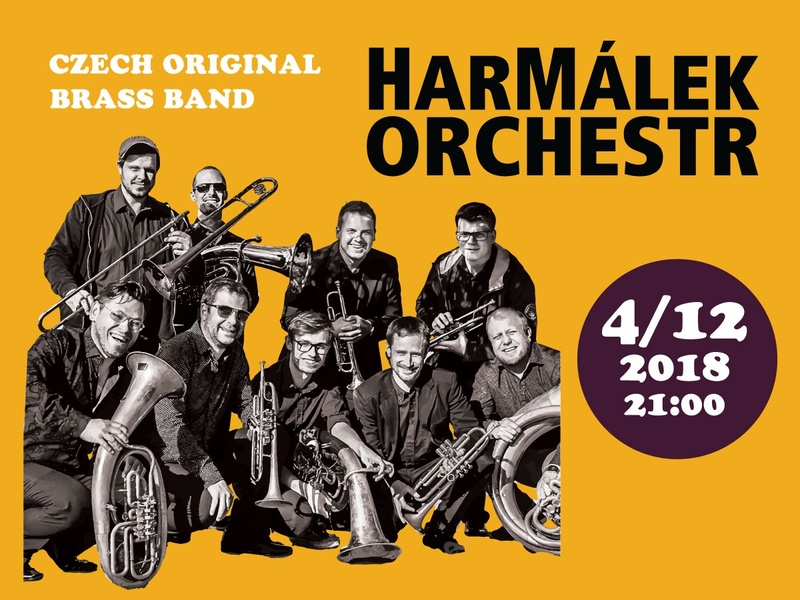 HarMalek Orchestra is an original group that decided to innovate the Czech brass tradition and bring it to the listeners in a modern, hilarious and young style. 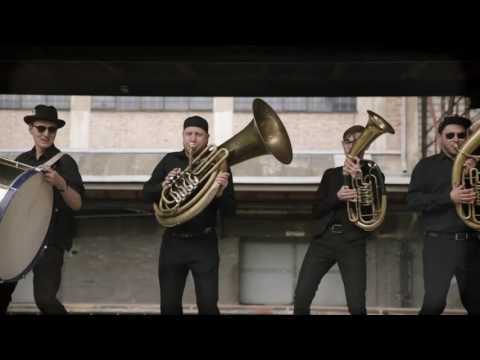 They play various musical styles inspired by Czech and Balkan brass folk music and their performances are so energetic that they dare you! HarMalek Orchestra was founded in 2016 and it is composed of leading musicians of the Czech music scene. 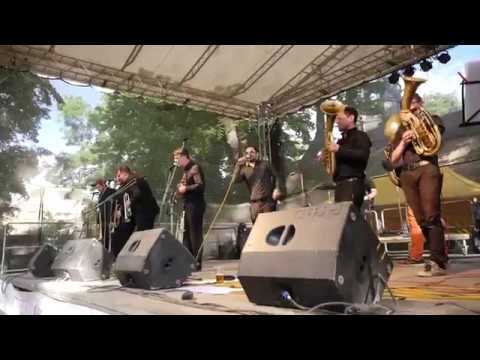 Do not be afraid to succumb to the new Czech brass band, HarMalek Orchestra and its ultimate pressure come. Petr "Harmy" Harmáček – trp; voc, Lubomír Mandous – trp, voc; Miroslav Nováček – trp, voc; Martin Jůzl – trp, voc; Jan Jirucha – trb; Jakub Mašek – euph; Ondřej Jiskra – euph; Martin Homolka – euph; Martin "Ozzy" Zavoďan – heligon; Jiří Gentr – tuba; Martin Kuzma – dr. Admission: standing only, presale CZK 180, at the door CZK 250.